We transport you and your bike to your desired tour and pick you up again later. Have you taken a cycling tour but are too tired for the return journey? 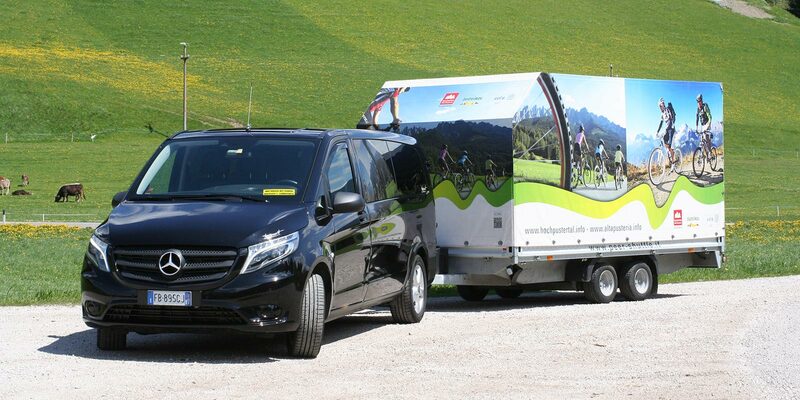 Our-shuttle service comfortably and conveniently drives you and your bike home again. We are surrounded by the most beautiful cycling routes in the Dolomites. Starting with the classics in Val Pusteria from Brunico via Dobbiaco and San Candido to Lienz or into the Valle di Cadore via Cortina to Calalzo or the somewhat harder versions via the route of the now legendary Dolomiti Superbike or even the Stoneman … there is something for everyone! No matter how beautiful and exciting the outward journey, the return trip can be long and hard or the route to the actual destination simply too far. In either case, you are in the right place with us! We bring you and your bikes wherever you want to go. 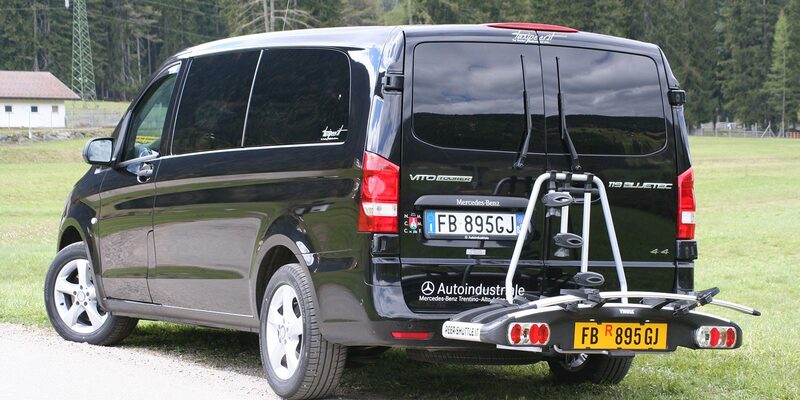 For smaller groups of up to 4 persons, we transport the bikes using the tow bar carrier on the minibus. For larger groups, we use our brand new bike trailer. It takes up to 16 bikes of all types (including e-bikes). 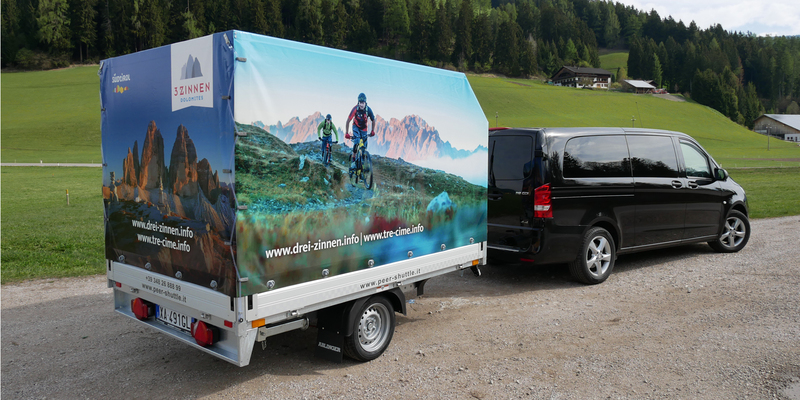 The bikes are stored individually beneath a tarpaulin cover and are therefore transported in an especially safe and careful manner. We like to make your bike tour a totally fun and enjoyable experience!